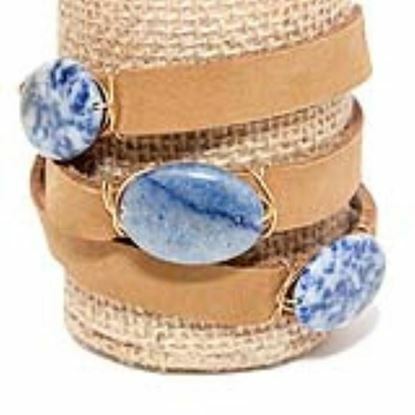 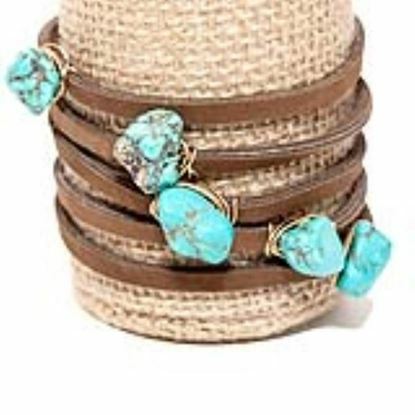 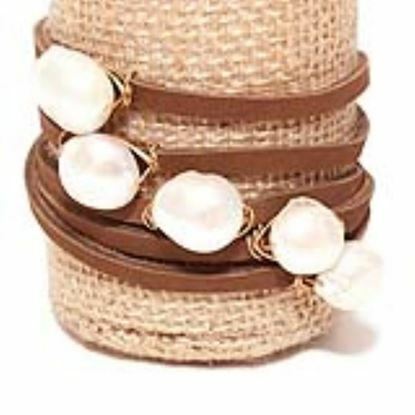 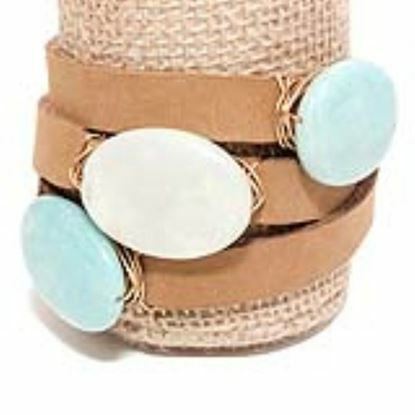 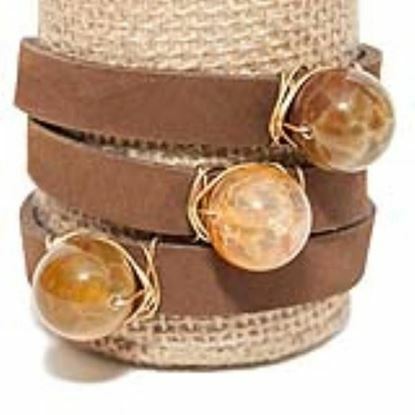 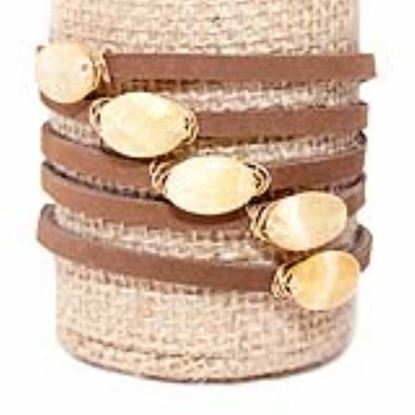 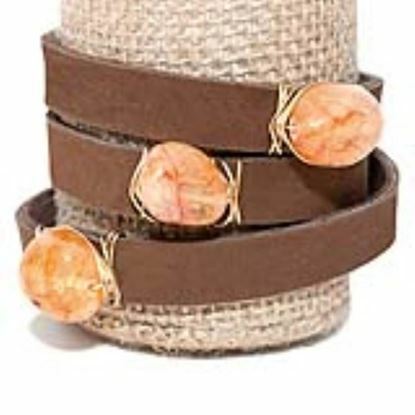 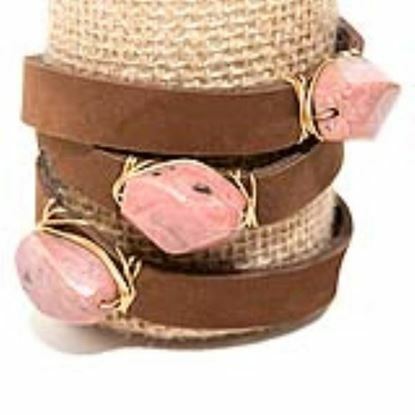 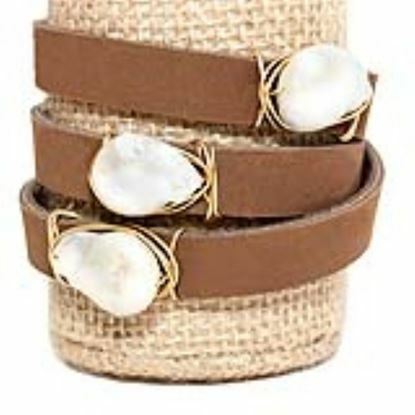 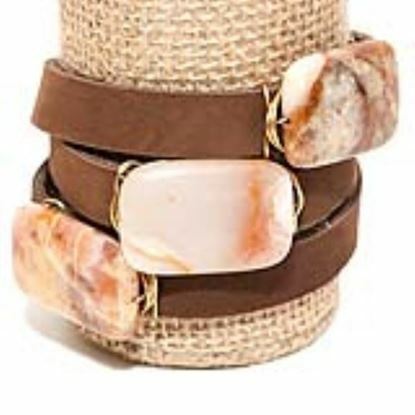 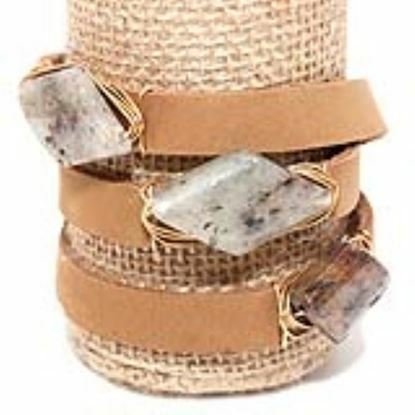 Genuine Leather adds quality and comfort to these 100% genuine and natural stone wrap bracelets! 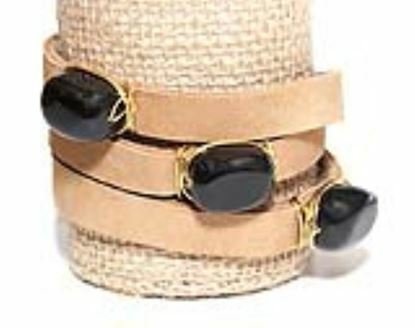 Inspirational meanings behind classic elements bring new purpose to these 100% genuine semi-precious stone and leather bracelets. 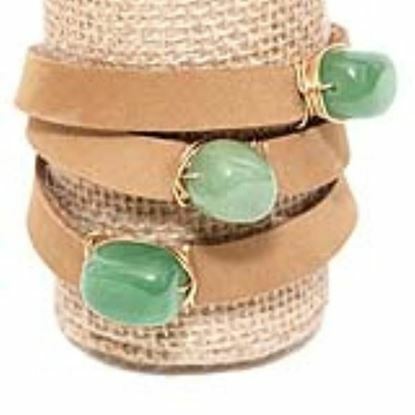 All the bracelets are made with hand selected, organically-cut semi-precious stones and gems, wrapped with gold plated wire. 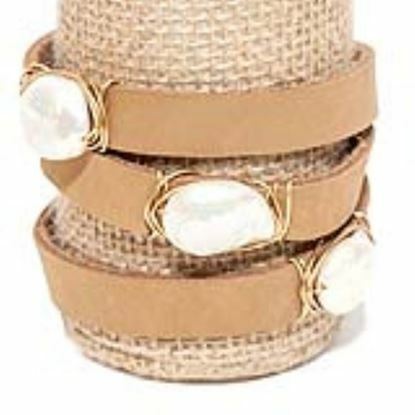 100% Genuine leather 2 closure snaps finish off the look.